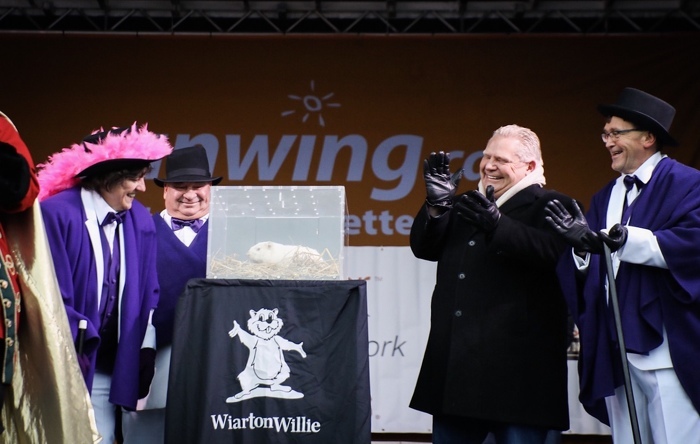 February 2, 2019 12:10 P.M.
WIARTON — Today, Premier Doug Ford and Bill Walker, Minister of Government and Consumer Services, attended the 63rd annual Wiarton Willie Festival to support the longstanding local tradition. During the ceremony, groundhog Wiarton Willie predicted an early spring. "Long winter or early spring, Ontario is the best place in the world to enjoy any season! We make the most of winter by celebrating the important things, like community, family and a hockey game or two, while still looking forward to a warmer spring," said Ford. "I was honoured to take part in this fantastic festival, which is a great opportunity to bring the community together for some family-friendly fun." 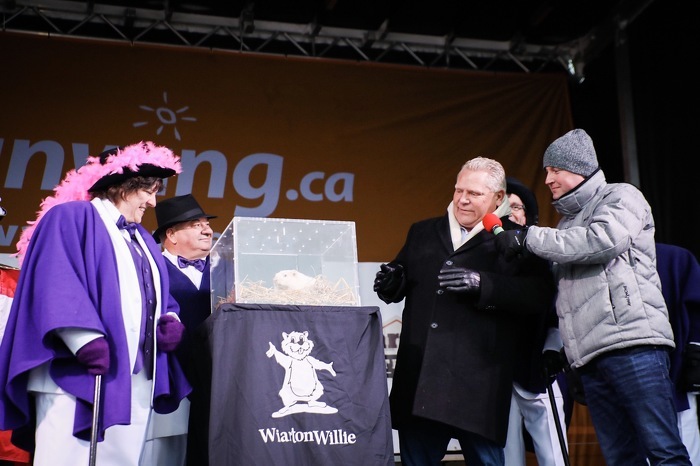 "Without a shadow of a doubt, I am thrilled to have Premier Ford join my constituents and people from across the province, country and world for the famous Wiarton Willie Festival," said Walker. "The festival on Groundhog Day is a long-standing tradition that truly exemplifies the charm of the Wiarton community." 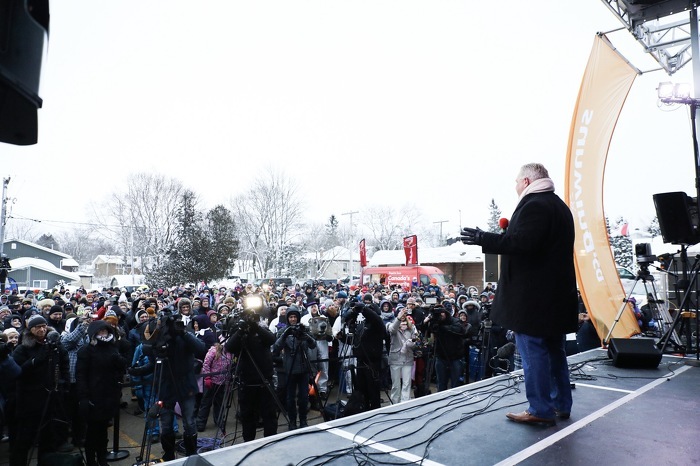 Premier Ford attends the Wiarton Willie Festival. 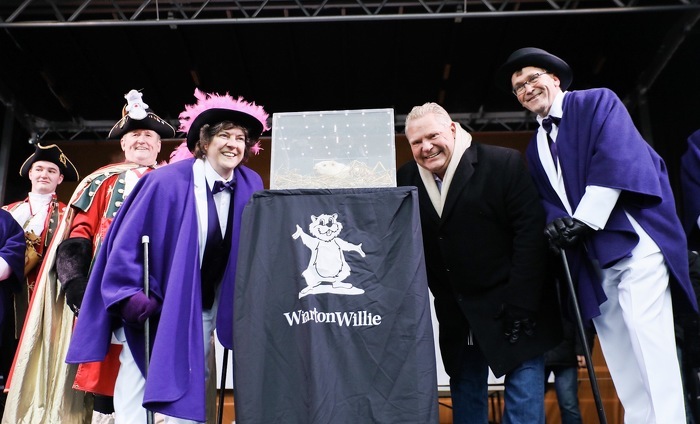 Premier Ford and Minister Walker attend the Wiarton Willie Festival.